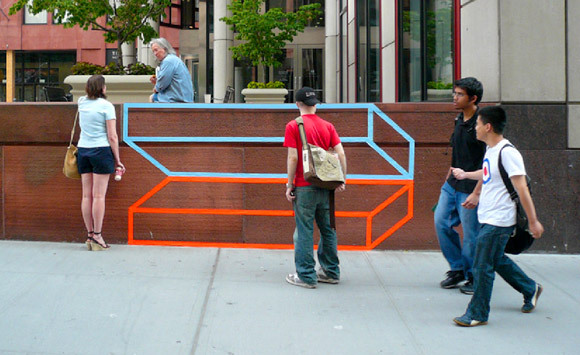 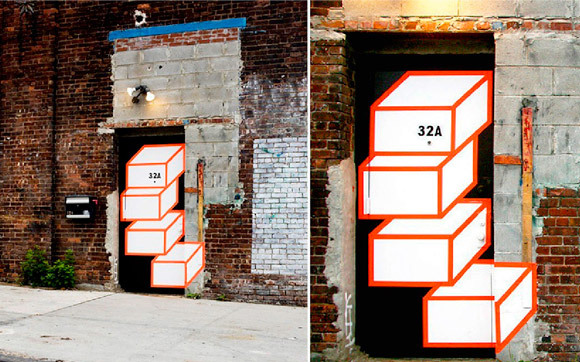 New York artist, Aakash Nihalani is taking a simple, yet creative approach to installing street art. 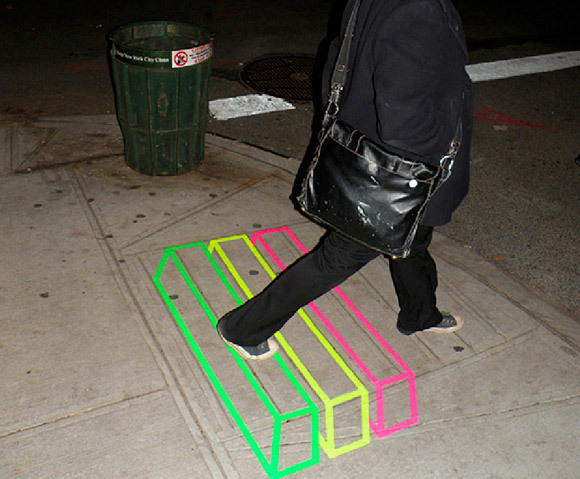 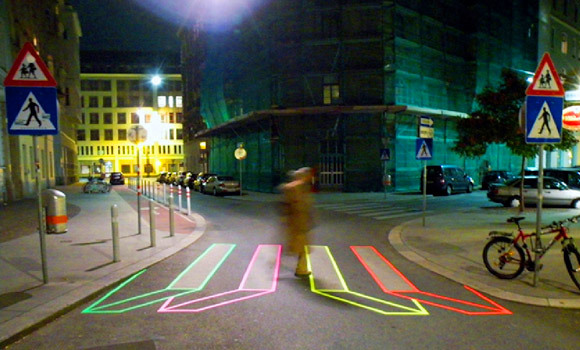 Primarily working with isometric rectangles and squares, then selectively installing neon tape designs around the city. 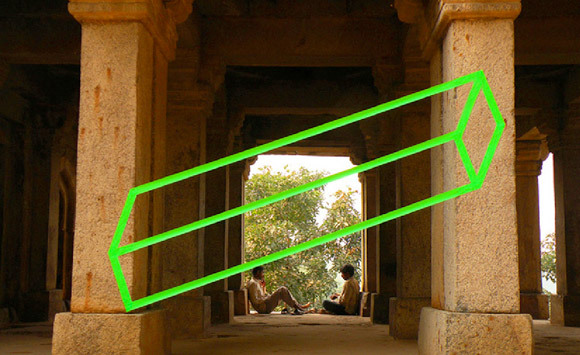 Aakash works instinctively with little to no planning. 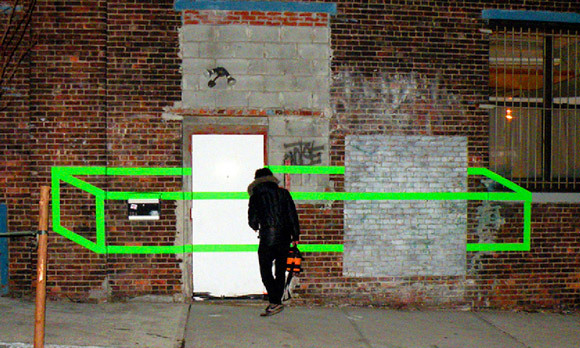 Taking every day encounters of doorways, sidewalks, subways, buildings and bricks, then freshening them up with a visual anomaly. 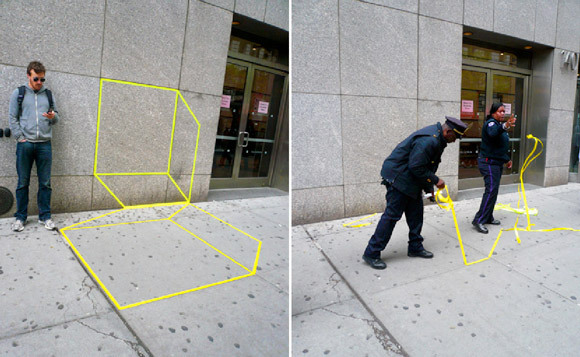 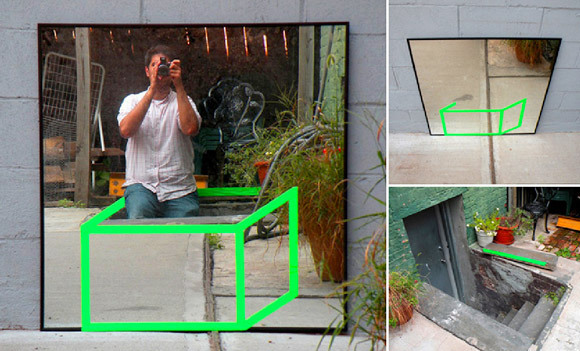 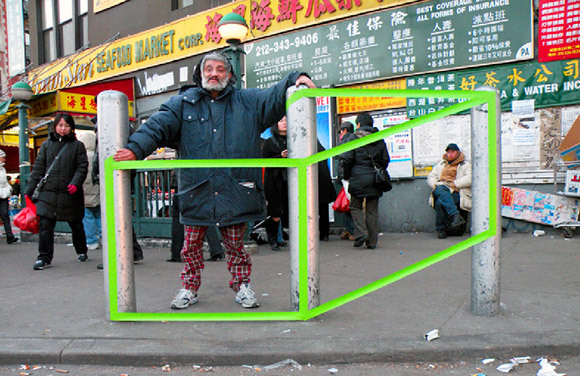 For more pictures of Aakash Nihalani’s works and projects check out his Flickr page.